Have a problem with your dog's barking? 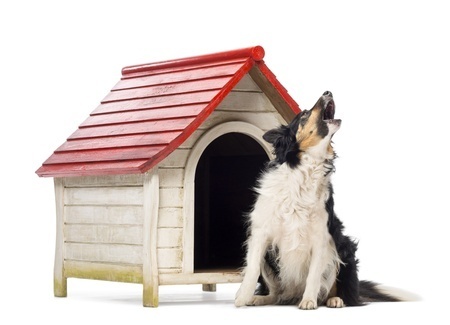 Is your dog barking too much? Don't reward excitement. Reward the calm mind state. Putting in time and giving positive rewards will improve the behavior of your dogs and make life easier for you and everyone around. Every dog barks. It's just what they do. It's part of their natural communication. We can't expect a dog to never bark. It's how a dog speaks. It's what they love to do and at minimum it's an okay thing. It's when it becomes obsessive that it becomes an issue for everyone involved, especially your ornery neighbors. Dogs can bark for good reasons too: when there is suspicious activity, any herding animals, or for guarding reasons. To control the barking we need to understand the reasons for the excessive barking. Dogs and other members of the Canines family use barking as a form of communication. 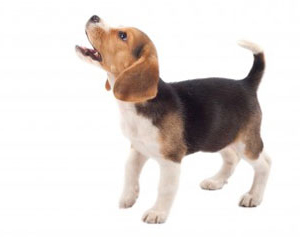 There are five different classes of sounds a dog makes: howls, growls, grunts, whines, and barks. Each is used for a different reason. Howling is used for long range communicating in a wide variety of circumstances. Dogs, like wolves, can howl. Dogs howl when they hear different sounds or when they want attention, but for wolves howling is a way to communicate. Growling can occur in different settings. It's used in self defense, to threaten and warn or show aggressiveness, and is also done in playful situations. Looking at the dog's body posture will give you hints so you can to tell the difference. Growls with aggressive intentions are done with a snarl or a stare, and the dog typically remains stationary with their ears pulled back. Playful growls occur with positive body language such as a happy wagging tail. Grunts are equal to an at eased sigh from a human. They can be used as a greeting method between other dogs and/or people. Whines & Whimpers Dogs may whine when greeting each other, when they are frustrated or hurt, or to get attention. They may also use these sorts of sounds to show defense. Dogs normally whine more than wolves do typically because they have been positively reinforced that this communication method will get their human's attention. Barking is the most common in canine species and probably the most annoying communication method. Some breeds are bred to bark for herding or protection services, but most dogs use barking to alert or warn, to seek attention, or to show playfulness, boredom, excitement, or loneliness. Alert/warning barks are the most positive barks and some owners inspire this type of barking. They want their dog to alert them to dangers or suspicious activity. It is important to learn to distinguish the different varieties of barks your dog uses so you can reward positive barking and change negative barking. Attention-seeking barks are used as a method to gain attention, most commonly with puppies. These barks can be very annoying and lead to excessive barking. You must ignore this type of bark to stop this behavior. Play/Emotional barks are sharp and short. If a dog does this it means he/she is getting too excited and a timeout on play is advised. Self-Identification barks are your dog's way of voicing where he/she is to other dogs. Bored barks are used when your dog needs an outlet for energy and a way to kill the dreadful silence. Lonely/anxious barks are a big problem for a lot of pet owners whose dogs have problems with separation anxiety. This type of barking becomes more forceful as the dog's anxiety rises. Anxious barks have a higher pitch as the dog becomes more worried. These barks can be quite annoying to you and everyone around. Startled barking is a response to being scared by a sudden movement or unfamiliar sound. As with alert and warning barks, these types of barks can be a good thing but they need to be watched and controlled. Most barking is normal, and triggered by normal situations. Stopping unwanted barking takes training and patience. Make the Dog Lay Down Controlling barking requires a dog who is relaxed and can obey us. The dog needs to see you as a role model for behavioral clues. Having a dog lie down and stay (dogs don't bark as much while laying down.) while working to solve barking problems. Don't Yell Yelling is definitely not a proper way to handle barking. If you yell at a dog by telling it "no" or "stop" it thinks you are speaking back to it. Consistency is Key Be consistent with behavior commands and make sure everyone uses the same word with the same tone so the dog knows it's not okay.. e.g., "Stop"
Have Patience Be patient. It takes time for your dog to learn the no barking lifestyle. It takes time to change behaviors, so be slow with each step. Reward Positive Behavior Make sure to reward and enforce your dog's good behavior. Positive reinforcement can vary from giving them a treat to something as simple as a pet on the head. You need to reward your dog because it shows what behaviors are looked up to and which ones are frowned upon. Don't Positively Reinforce Bad Barking When a dog barks make sure to not give any positive attention. It shows that their barking behavior isn't accepted and won't be tolerated. Control the Situation You don't have to spend hours a day to train your dog. 5-10 minutes per day is enough, as long as you are persistent and keep up the task. You should constantly be training the dog by rewarding positive behavior and disciplining negative behavior. Ask an Expert if Barking Continues If you continue to face barking problems don't be afraid to ask expert. Behaviorists, animal trainers, or your veterinarian can give great advice.